Through ingenious contemporary design, Amble offers three lighting positions. 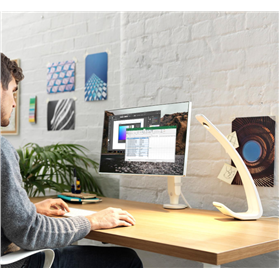 At its tallest position, Amble provides ambient light that helps reduce eyestrain in everyday office environments. 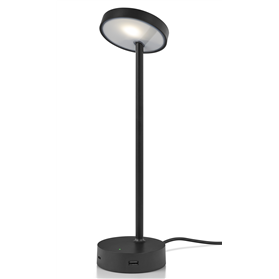 When fashioned into its intermediate posture, Amble shines as a multi-purpose LED task light. 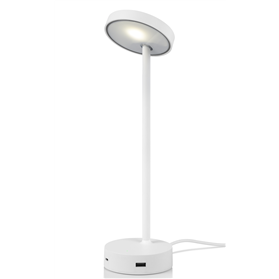 Tilted to its lowest point, Amble provides concentrated light for tasks such as reading. Smooth to the touch with no joints or hinges, Amble’s lean silhouette features intuitive single touch on/off and touch-and-hold continuous dimming, all encompassed within its minimal footprint. 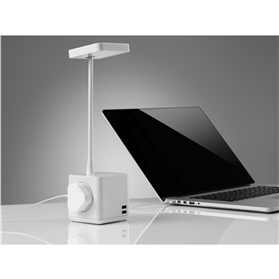 To help minimise energy use, Amble’s touch-dimmable, 206 lumen LED light automatically turns off after 10 hours of inactivity.